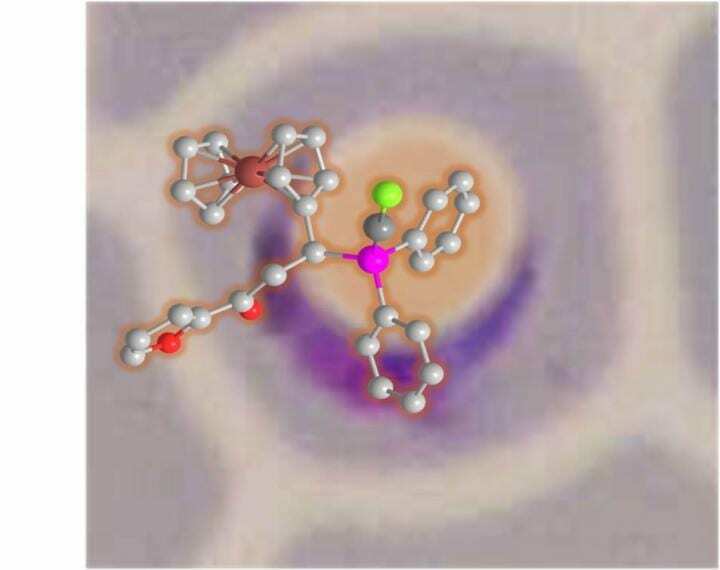 A team of researchers from the Singapore University of Technology and Design (SUTD) and Nanyang Technological University (NTU) have developed novel ferrocene-based molecules that impair the malaria parasite’s metabolic function leading to parasite death. Despite concerted efforts for malaria elimination, this deadly disease remains a major health threat to the developing world. The causative agent known as Plasmodium is highly proactive in establishing and sustaining the infection in humans leading to complex clinical manifestations. Making the matter worse, Plasmodium is gaining resistance to almost all clinical antimalarial drugs available in the market, and there is a need to develop new and better antimalarials. Towards this end, in a collaborative research study between SUTD and NTU, a panel of novel chemical compounds categorised as ferrocenyl phosphines was developed as potent antimalarial drugs. The NTU team led by Dr Sumod A. Pullarkat from School of Physical and Mathematical Sciences synthesised the small molecule inhibitors. The antimalarial testing and the mechanism of action studies were subsequently carried out at SUTD under the supervision of Assistant Professor Dr Rajesh Chandramohanadas. From this study, the researchers identified several molecules that exhibited impressive antimalarial potency against standard laboratory as well as drug-resistant strains of human malaria parasites. The top inhibitory molecule, known as G3, is a gold complexed ferrocinyl phosphine derivative, which is potent against metabolically active trophozoite stages of the parasite. Treatment of malaria parasites with G3 demonstrated compromised digestive vacuole wherein the parasite degrades human hemoglobin to facilitate growth and proliferation towards sustained infection. This research appeared in scientific journal Dalton Transactions published by the Royal Society of Chemistry and the first authors are graduate students Mr. Gowtham Subramanian (SUTD) and Mr. Abdul Sadeer (NTU).